Experienced Doctors Joseph O’Leary and Scott Peppler are accepting new patients of all ages! 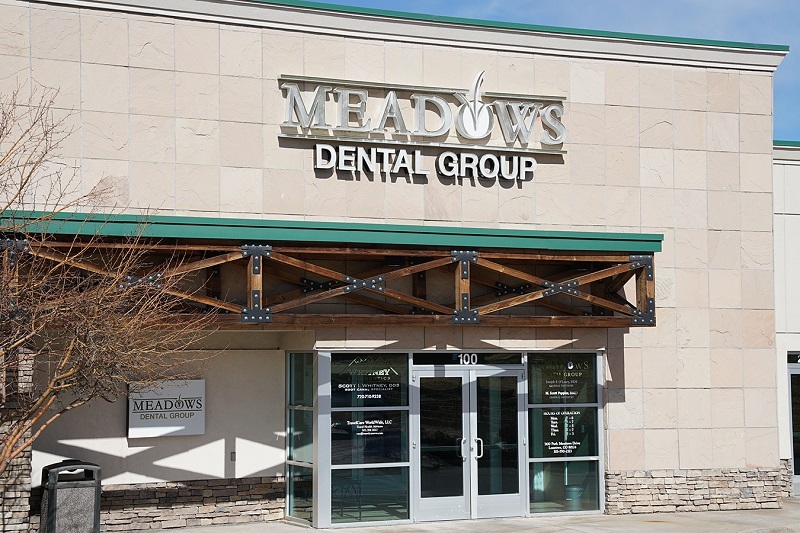 At Meadows Dental Group, we know that picking the right dentist for you and your family is important. From the moment you arrive at our office, you will see why so many people trust us with their oral health needs. We created this page to help make your first visit a little easier. You will find information about us, what you can expect from our facility and staff, and the forms that you need to complete. As Lone Tree’s first dental practice, we offer experienced and compassionate care to residents of Lone Tree, Centennial, Highlands Ranch, and nearby areas in Colorado. Schedule your first appointment today by calling us at 303-790-2323. Your first visit will likely mark the start of your journey to excellent oral health. We love building lasting relationships with our patients and caring for their dental needs for years to come. New Patient Form: As an option and to save some of your valuable time, you can download the new patient form and fill it out prior to arriving at your first visit. HIPAA Notice Of Privacy Practices: We are required to distribute this very important notice regarding the handling of your private medical record information. Our professional and welcoming staff are committed to making your initial visit pleasant and efficient. It is our privilege to welcome patients from in and out of town at our office. We have many patients who travel from all over the Denver area for our exceptional comfortable care. We even have patients that drive a few hours or fly in to see us for their dental needs. If you have a high level of anxiety about dental appointments, please let us know when making your appointment. We have options available to ease the stress that many patients have about dental work. Learn more about our gentle, patient-focused approach to dentistry here. A full dental examination will be performed during your first visit. We will also take a set of X-rays unless you have up to date records. A thorough initial examination is necessary as it allows us to identify any oral health concerns that you may have. While some dental issues are pronounced, some can only be seen through a comprehensive evaluation. Once your exam is complete, our staff can help you schedule a date for any services that our dentists advised. All patients should schedule a time to return for a standard cleaning, even if no other dental work is needed. You are not required to fill out the new patient form on this page before you arrive; however, it can help save you time during your visit. If you do fill it out in advance, remember to bring it with you. Dr. Joseph O’Leary and Dr. Scott Peppler are ready to help you have a positive first visit to Meadows Dental Group. Feel free to browse the informative pages on our site regarding our staff and services. If you’re ready to schedule your appointment or if you have any questions, please call us at 303-790-2323. We proudly serve Lone Tree, Centennial, Highlands Ranch, and nearby areas in Colorado.